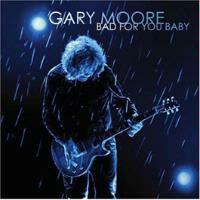 Gary Moore is truly one of the greats of the British school of the blues. His albums are consistently strong and this one is no exception. In fact, I’d say this is actually one of the best discs he’s produced. It’s a nearly perfect slab of modern blues with a healthy dosage of rock. I say “nearly” because there are two minor missteps. The track, “Holding On” has a bit too much of a generic modern sound for my tastes and doesn’t really stand up to the rest of the material here. The other minor issue is the closing track, “Trouble Ain't Far Behind.” It’s not a bad song at all, but at almost ten minutes in length it drags a little at times and seems like a bit too underwhelming to close the album. All in all, though, this is a killer modern blues disc and shows that Moore remains one of the most consistently strong proponents of the British blues movement around. 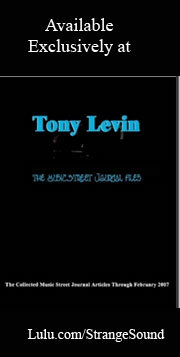 This review is available in book format (hardcover and paperback) in Music Street Journal: 2008 Volume 6 at lulu.com/strangesound. Led Zeppelin did a lot of bluesy hard rock in a similar vein to this. It’s got a harder edge, but also shares a lot with George Thorogood. It’s a smoking tune and a great way to start things off in style. The guitar solo purely screams. This fast paced blues stomper has a healthy dosage of country powerhouse in its mix. It’s a smoking hot tune and quite fun. A killer hard rock riff makes up the crux of this track. It’s another smoker and one that reminds me a bit of something from Rick Derringer – or once again you might hear the ghost of Led Zeppelin on this song. This is a slower, more modern sounding number. It’s a good tune, but perhaps a bit of a let down from the tracks that preceded it. Buddy Guy and Stevie Ray Vaughn would have been proud of this one. Pat Travers could be heard here, too. This is another screaming blues rocker. Here we get a slow blues that’s packed full of emotion. The guitar speaks volumes on this. It’s evocative and powerful and a highlight of the CD. At ten and a half minutes in length this could outwear its welcome. It’s a real tribute to Mr. Moore that it doesn’t really bore or disappoint at all during its course, though. This is just so tasty. We get some smoking slide guitar on this old school blues track. This is a killer old school blues tune that feels like it could have come from Buddy Guy or even Lonnie Brooks or B. B. King. Did You Ever Feel Lonely? Another that’s slow and old school in nature, this is another scorcher. Muddy Waters seems to be the order of business here. It’s a scorching old school blues tune with plenty of gospel woven into the mix. The second longest track on show here, I can make out Eric Clapton, Led Zeppelin and B. B. King on this mellow number. It’s another slow one, but unlike “I Love You More…” this one does seem to drag just a bit at times. It’s a good song, but I think the disc would have been better served with this put somewhere other than the closing slot.